California, USA is the ideal destination for surfing, swimming and beach lounging. Laguna Beach, Venice Beach and Newport Beach are trademarks of the Californian coast and attract millions of water users each year. 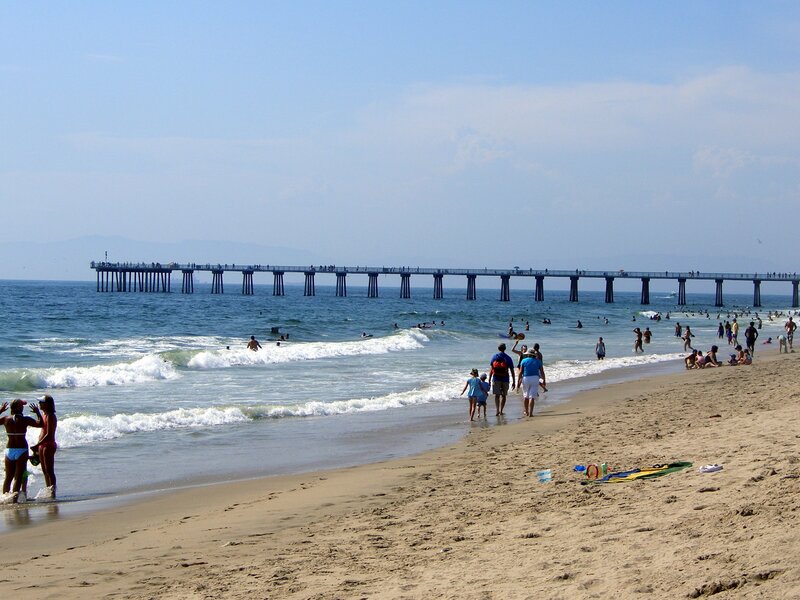 Popular beaches in California also include Huntington Beach, Santa Monica Beach, Hermosa Beach and Coronado Central Beach. National parks in California are also water rich and include gems like the Channel Islands National Park. Located off the coast of Southern California and accessible by boats, kayaks and small seaplanes, the Channel Islands are a remote oasis with pristine waters untouched as the islands host no permanent residents. Scuba diving, remarkable beaches and whale watching abound, the coast of California is cherished by swimmers, divers and boaters alike. Catalina Island also has some of the most coveted beaches off the Southern Californian coast. Descanso Beach, South Beach, Middle Beach, Step Beach and Two Harbors Beaches provide great conditions for swimming, snorkeling and beach lounging. Catalina is majority-owned by conservation authorities, and as a result there are no roads that connect the public beaches. The protected beaches are best accessed by sea kayak and boat. California also has many riverside beaches and freshwater lakes to enjoy. The Klamath and the Russian Rivers are just two of the state’s many freshwater swimming gems. Water users should pay attention to extreme water events and stay clear of beaches and coastal waters for 48 hours after rain, due to the chance that the water has been polluted with sewage and stormwater runoff. In Southern California, most stretches of surf have storm drain pipes and the government of California does not collect information on the outfalls discharged into the ocean. While warning signs are posted post rainfall, water users should stay informed and try to swim and surf 100 yards away from sewage outfall pipes.